Rixen arrived last week and we have been hard at work to install the cable system and have it ready for next month! We have assembled the towers and the starting ramp and set some of the water anchors. Today we erected our first tower for the main cable system. It was so exciting to see the tower go up! 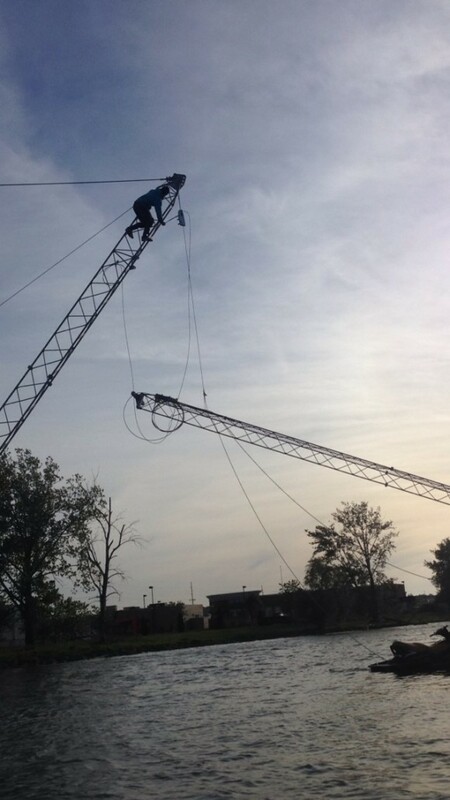 We will continue to set anchors and install the towers and will have the cable running in just a few short weeks! We will have a five-tower main cable system, which will be the largest in the country, and a two-tower practice system. We hope to see everyone out at the park enjoying the water shortly! On the building side of the construction at the park, we are moving along quickly. We have begun building the interior walls for the restrooms and the rental return hallway. It is amazing how quickly this building is going up. 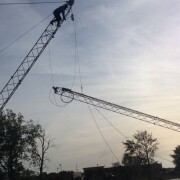 The weather is getting warmer and we are getting closer to opening the only cable park in the Northeast! Building and Anchors Photos Our Grand Opening is Here! !